Florida Farm Bureau has expressed special appreciation for a select group of state legislators. The organization is recognizing these leaders with the Legislators of the Year and Champions for Agriculture awards. They have consistently supported farm enterprise and economic opportunity in Florida during the 2015 regular and special legislative sessions. Florida Farm Bureau also recognizes House Speaker Steve Crisafulli for his excellent leadership and support for Florida agriculture during his time as an elected official. Throughout his time in Tallahassee, Speaker Crisafulli has remained a powerful and vocal advocate for farm families and a steadfast supporter of Florida Farm Bureau. Sen. Kelli Stargel and Rep. Katie Edwards are the organization’s 2015 Legislators of the Year. 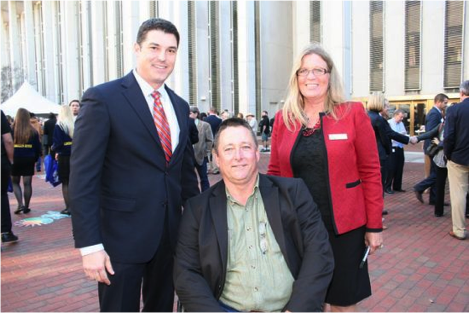 These two lawmakers demonstrated outstanding support for Florida Farm Bureau’s legislative agenda and continued to promote pro-agriculture legislation through bill sponsorships, co-sponsorships and voting records. 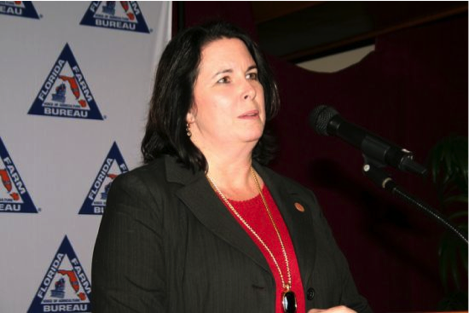 Sen. Kelli Stargel played a leading role in promoting Florida Farm Bureau’s legislative priorities in the Senate this year. Stargel sponsored three key bills – most notably, one that resulted in $13 million in sales tax relief for Florida farmers and ranchers. After hearing from several constituent farmers in Polk and Osceola Counties about issues facing production agriculture, she decided to take action, boldly sponsoring specific legislation aimed at lowering taxes and reducing regulations on farmers and ranchers. She had a 100 percent voting record on Florida Farm Bureau’s legislative agenda in 2015. “Florida Farm Bureau thanks Sen. Stargel for her tremendous efforts on behalf of Florida agriculture in 2015,” said Adam Basford, director of State Legislative Affairs at Florida Farm Bureau. “Sen. Stargel’s dedication and passion for agriculture were exemplified in the $13 million in tax relief package she spearheaded. We appreciate Sen. Stargel’s leadership and advocacy for agriculture in the Florida Senate. 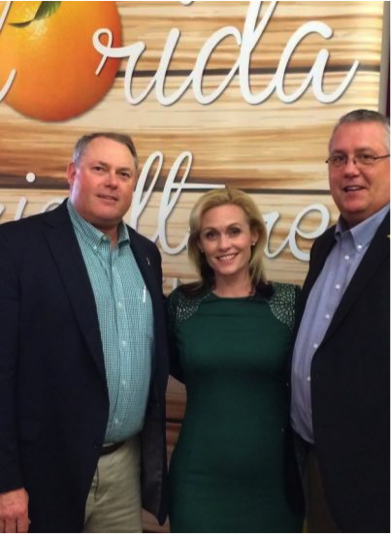 As the former executive director of the Dade County Farm Bureau, Rep. Katie Edwards is no stranger to Florida agriculture or to Florida Farm Bureau. Her dedication and support of Florida’s agricultural families has extended into her time in the Legislature, where she has served as an important leader and resource in the Florida House as the Minority Ranking Member of the Agriculture and Natural Resources Subcommittee. Including this year, Edwards has been named a Florida Farm Bureau Champion for Agriculture each of her three years as a lawmaker. In 2015, she sponsored HB 383, legislation protecting private property rights and strengthening the Bert Harris Private Property Rights Act that was passed in 1995. This legislation clarifies property owners’ rights to compensation for governmental actions that impose unreasonable restrictions on property and diminish its value. Edwards also co-sponsored two additional bills on Florida Farm Bureau’s legislative agenda and had a 100 percent voting record in support of pro-agriculture bills. Florida Farm Bureau also honors twenty-four Champions for Agriculture – lawmakers who go above and beyond to support and promote legislation that positively impacts agriculture. This year, Farm Bureau named six Senators and 18 Representatives as Champions for Agriculture. “Florida Farm Bureau is grateful to the legislative leaders in Tallahassee who recognize the important role agriculture plays in our state’s economy and demonstrate exceptional leadership and advocacy on behalf of Florida’s farmers and ranchers,” said John Hoblick, President of Florida Farm Bureau. Florida Farm Bureau honors Speaker of the House Steve Crisafulli for his sustained and unwavering support of Florida agriculture during his time in the Florida House of Representatives. A citrus grower who continues to serve on the Brevard County Farm Bureau’s Board of Directors, Crisafulli has been a long-time advocate for our state’s agricultural producers. In addition to being recognized as a Champion for Agriculture every year since the award was created, he was also recognized in 2011 as Florida Farm Bureau’s Legislator of the Year. In his first year as Speaker, Crisafulli was faced with a challenging session. Yet he played a major role in making sure that the issues important to agriculture did not get overlooked. Under his watch a $13 million agricultural sales tax exemption was included in the House’s tax cut package, the University of Florida’s Institute for Food and Agricultural Sciences and the Florida Department of Agriculture and Consumer Services received adequate funding and Amendment 1 funds were wisely allocated to beneficial water and environmental projects and land management. Crisafulli has been consistent in supporting Farm Bureau priorities in Tallahassee over the years. His leadership on behalf of agriculture has been invaluable. “We join the rest of Florida’s agricultural community to thank Speaker Crisafulli for his dedication and commitment during his career as a Florida legislator,” Hoblick said. Sen. Stargel, Rep. Edwards and Speaker Crisafulli will receive their honors at Florida Farm Bureau’s 2015 Annual Meeting in Ponte Vedra Beach in October.